13 Lymph nodes removed and only 1 positive…I keep reminding myself that only God can do something like that. no one was expecting only 1 to test positive, my tumor was the size of a golf ball…CRAZY! I remind myself multiple times a day that 1 lymph node is a much better outcome then 4,5 or 6+. Today was such a emotional day for me. I cried, I cried so hard! I read another blog of an amazing woman going through chemo today, and honestly scared me so much i almost crapped myself (ummm well maybe not that bad, but it was bad). And for the first time since this started I final admitted to myself that I’m scared of this treatment, like really scared. But as fast as I started bawling my eyes out, I prayed and asked for calm…and in that moment my daughters arm flung around my neck (she sleeps WILD) and just like that I knew God was letting me know what and who I’m fighting for. So many people text, email, and even call me (I’m so not a talk on the phone person) but no matter how i get contacted, I’m always told that I’m admired for my strength, or i’m an inspiration, I’m awesome, or I’m their hero/shero. I am so appreciative for it I am, but as strong as I may look I do break down. I’m just like everyone else. I crumble I do, but I refuse to break. 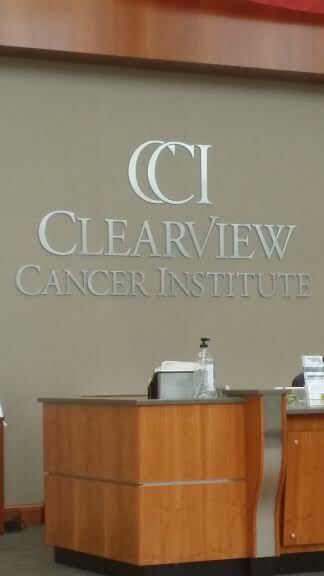 Tuesday I go to see Dr. Schreeder (my oncologist) at this awesome clinic, Clearview cancer institute. Anyway I’m ready to watch some sportscenter, and relax for the night. I’ve had a really emotional day today….a bit draining. tomorrow is football, so that should pick me up…if my eagles play right in San Fran smh. but other then that Sunday’s are usually good days, I’m hoping tomorrow is a better day then today. Have a good night!!! Harlow says hi!!! 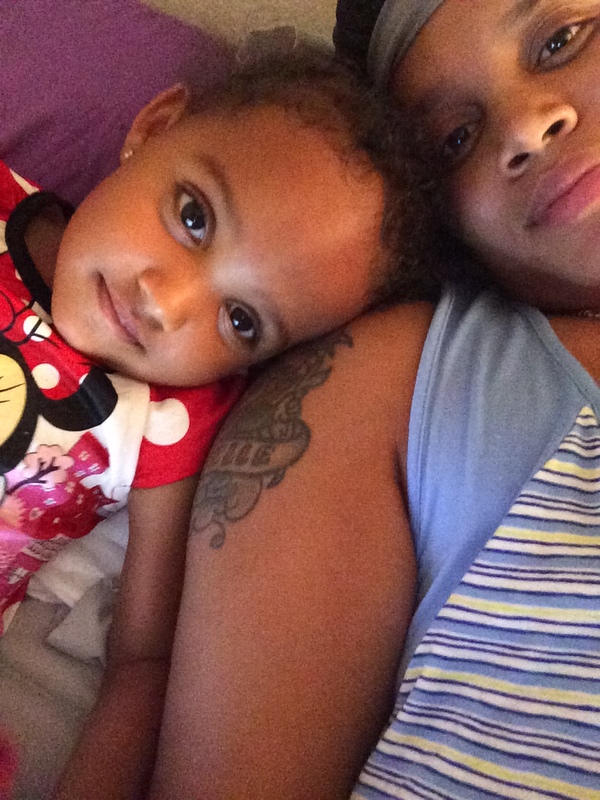 (yes I know she should be sleep, but she’s curled up watching barbie with me as I type). I LOVE YOU BOTH SIS! Thanks for sharing Danita. Sometimes I feel like I don’t know what to say to you. But then I remember when I was in Tennesee when my granddaughter had her brain surgery. Everyday I was on facebook lapping up the comments and words of encouragement. I will forever be grateful to my facebook friends. It really helped to get me through so I know that it’s important to hear from family and friends no matter how brief the word or comment. So bear with me if I sometimes say the wrong thing or sound stupid. I just want you to know that I am feeling you. I know what it is like to be afraid of the unknown and the known. I just want to say something, anything, so that you know I am thinking of you and praying for you all day long whenever I think of you. Believe it or not there are people who are not in your life on a daily basis but they still love you. Hope you feel the love.